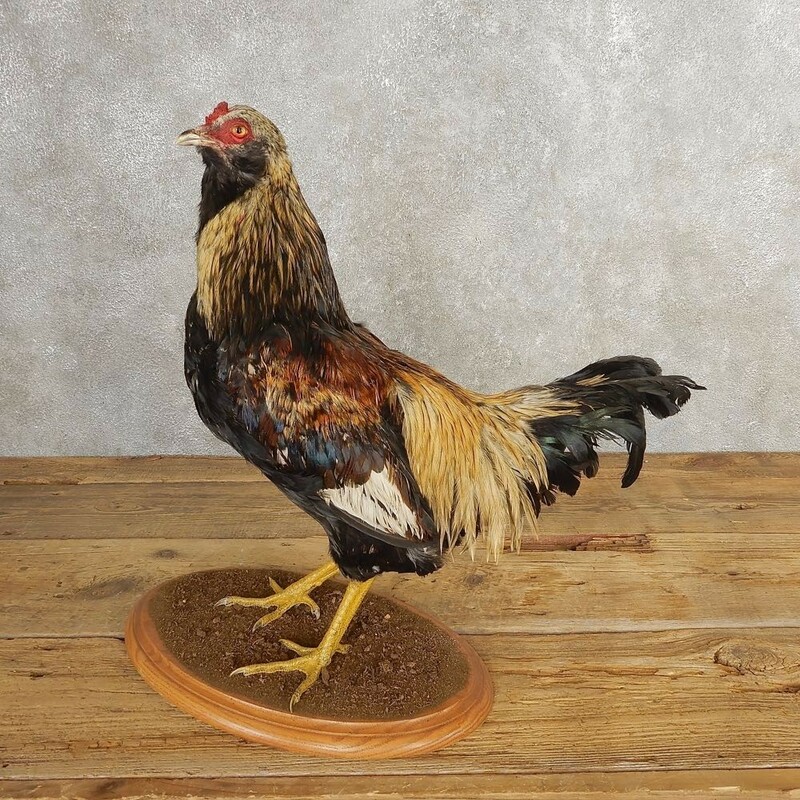 This is a fantastic Bantam Chicken taxidermy mount, posed standing on an oak base and looking out into the room. It has terrific natural cream and brown speckled plumage, as well as expert quality craftsmanship. 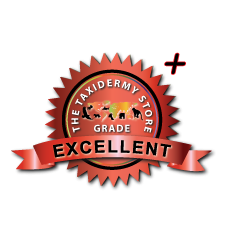 All of this combined has helped this item earn our Excellent Plus™ overall quality rating. All applicable dimensions are included to help ensure this item will fit within your intended display space.